If this night of music had its own tagline, it would definitely be: No Life Before Synths! 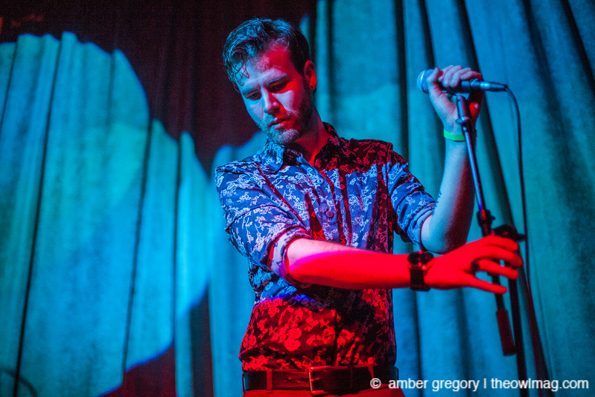 A night of low key blips and bleeps, punctuated by some fine stage dancing and a headliner with a mannequin, greeted Noise Pop attendees at San Francisco’s Brick and Mortar Music Hall on Wednesday night. A trio of solo acts — Oakland-based RZN8R and Berkeley’s Yalls, plus Cleveland’s Monster Rally — warmed up the crowd for Los Angeles-based trio (well, minus mannequin) TV Girl. Overall, this was a great, mellow night of synth-based goodness, grooving happily on into the wee hours of Thursday morning.